Powerlines and pylons carrying high voltage electricity over Island Saddle at 1360m. Looking down Serpentine Creek towards Clarence River. 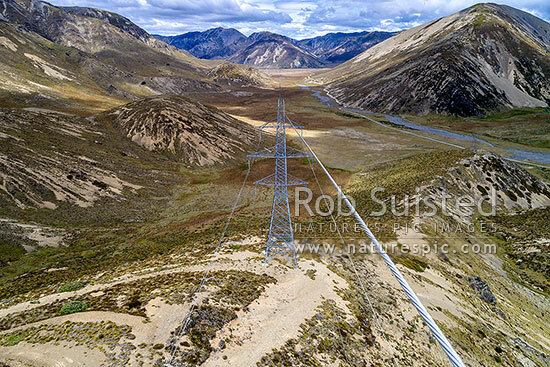 Wairau - Hanmer Springs Hydro Road, Hanmer Springs, Hurunui District, Canterbury Region, New Zealand (NZ), stock photo.